What a great 22nd LAWS! The theme was “The Wild Me” and there was plenty of that! Next week is actually LAWS#26! The theme is “Pleasure”. Join the event! It’s this Sunday in Echo Park! 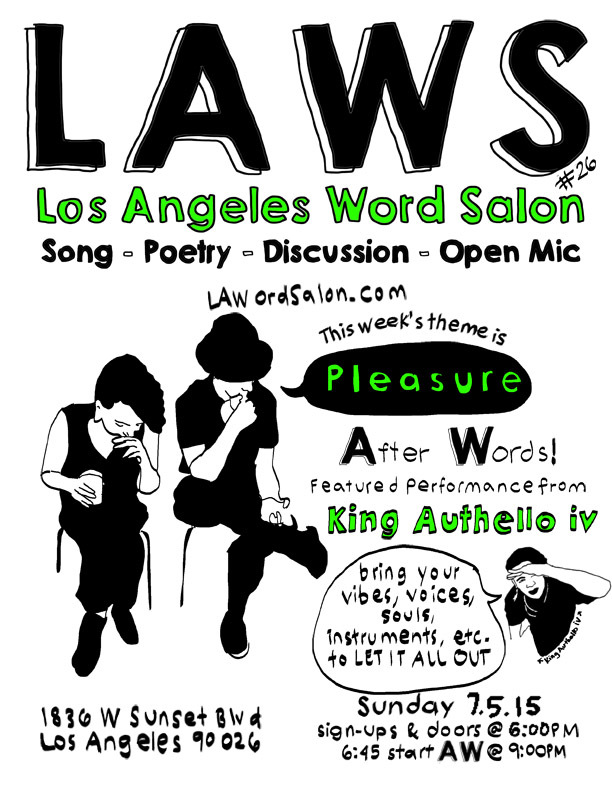 Next week’s theme is Pleasure, featuring the amazing King Authello IV!